Blend to perfection with the Too Faced Mr. Right Eye Essentials Set. This five-piece brush set contains everything you need to create a flawless smokey eye. Pack on shadows, blend out, line and smudge colour along the lower lashline with these super-soft eye brushes. 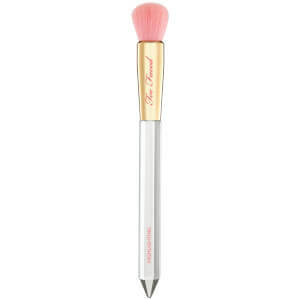 Crafted from Too Faced’s signature Vegan and Cruelty-Free Teddy Bear Hair™ for perfect application every time. The luxurious synthetic formula provides seamless application with both powder and cream products. Look no further for your perfect match than this charming set of brushes, dressed with adorable bow ties.